Sudarsan created a sand sculpture at Puri beach of Odisha along with a message which read as, "Tribute to the Iron Man". Popular sand artist Sudarsan Pattnaik congratulated the entire team for creating world's tallest statue of Sardar Vallabhbhai Patel. Sudarsan on Tuesday congratulated the team through his sand art and a message on it. 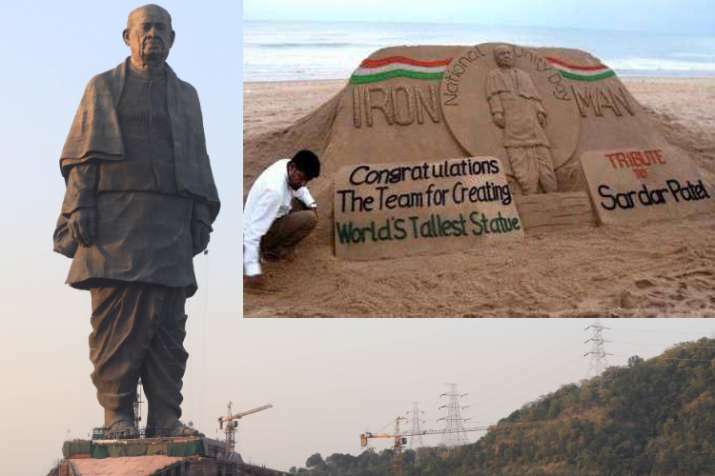 The Statue of Unity, a 182-metre giant structure is built in honour of Sardar Patel. 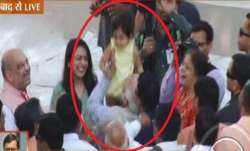 The Prime Minister of India, Narendra Modi, dedicated the Statue of Unity to the nation today. The monument, touted as the world's tallest statue, is built near the Sardar Sarovar Dam in Narmada district of Gujarat. Sudarsan congratulating the team, said, "As an artist, I would like to congratulate the entire team for creating world's tallest statue which is a history. I have created a sand sculpture to give tribute to the iron man on his birth anniversary."